In January 2006, the Ministry of Community, Youth & Sports (MCYS) established *SCAPE Co. Ltd, a non-profit organization, to make the *SCAPE dream a reality for young people. 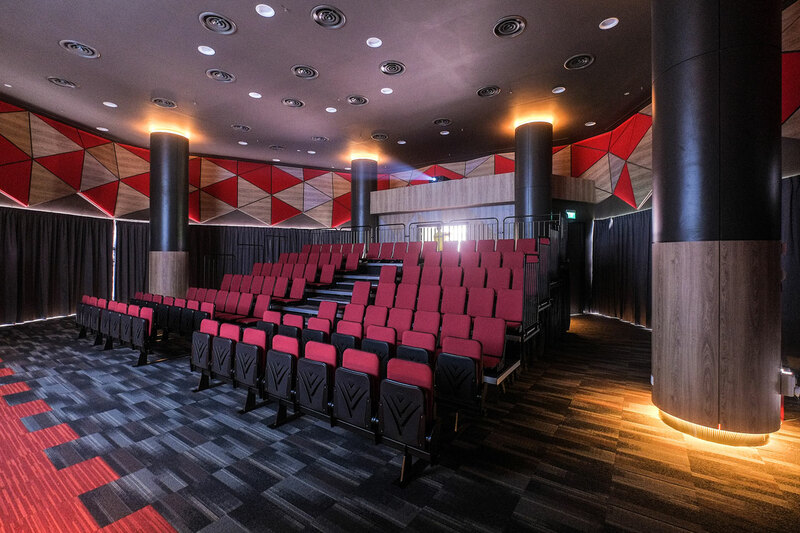 The *SCAPE Theatre was built in 2015 to promote the visual arts culture in Singapore amongst youth. The acoustics of the theatre was designed to achieve an RT60 time between 1.2 – 1.5 seconds. 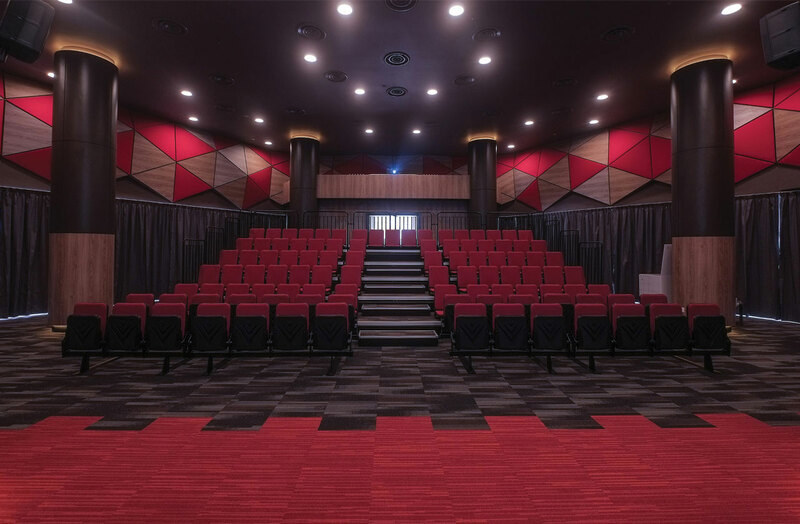 Fabrix profiles SS 27S (Side Snap, 27mm Height, Square Profile), was used to create the faceted acoustic panels that clad the walls of the screening room. 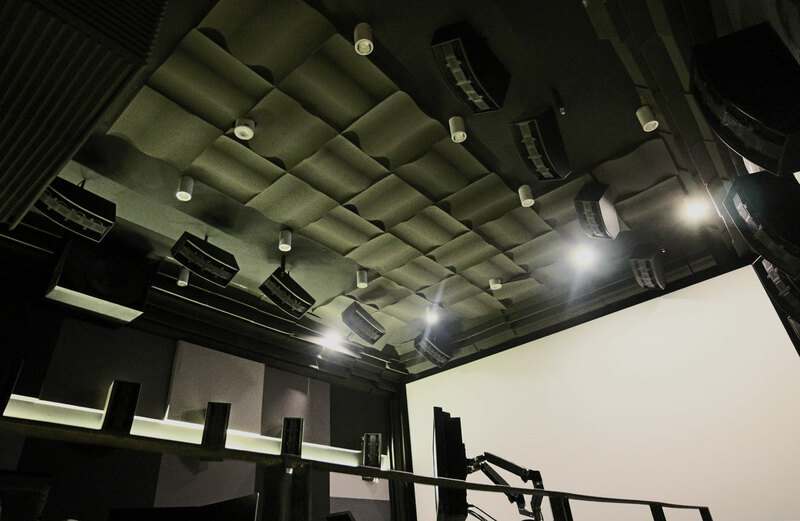 The Dolby Recording Studio was incorporated by Mocha Chai Laboratories – Singapore’s first fully integrated digital film lab that offers DCI-standard compliant solutions. 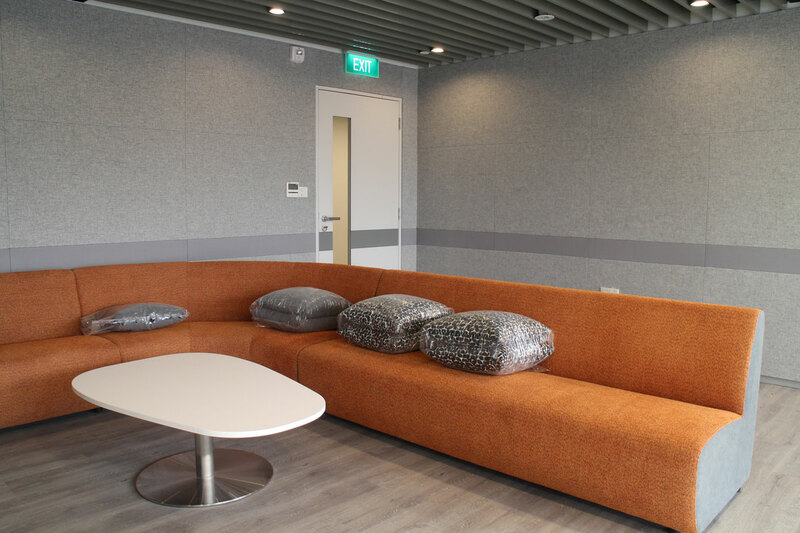 The new studio introduces two exciting new concepts – Singapore’s first and only Dolby Atmos dubbing theatre and BREWERY by Mocha Chai Laboratories, a co-working creative space designed for the freelance media community. 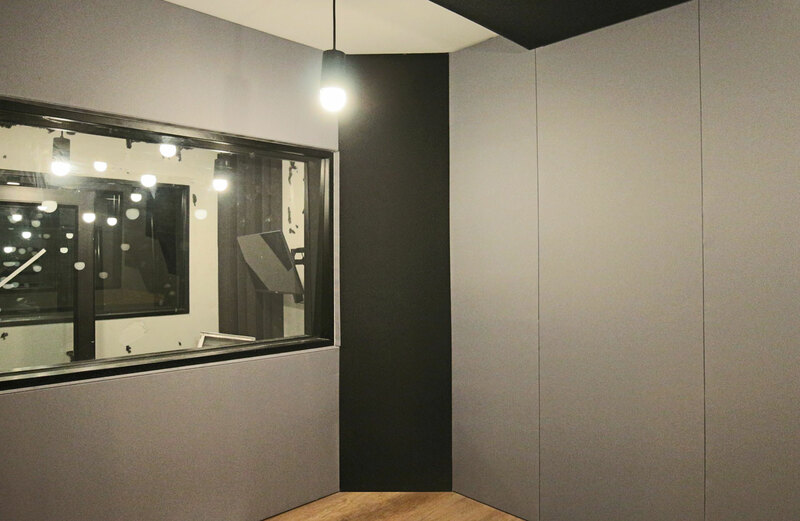 Apart from installing acoustic foam panels on the ceiling, Fabrix profiles ML 27S (Mid Load, 27mm Height, Square Profile) and EL 27S (Edge Load, 27mm Height, Square Profile) were used to create the acoustic panels that clad the walls of the entire recording studio. The Urban Redevelopment Authority is the national urban planning authority of Singapore, and a statutory board under the Ministry of National Development of the Singapore Government. 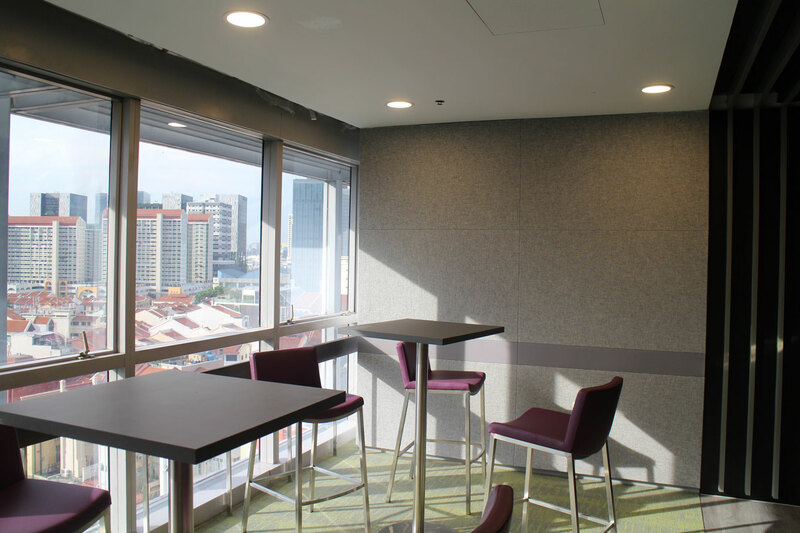 The URA Centre was opened in 1999 by Lim Hng Kiang, who was National Development Minister at the time, and refurbished in 2016. 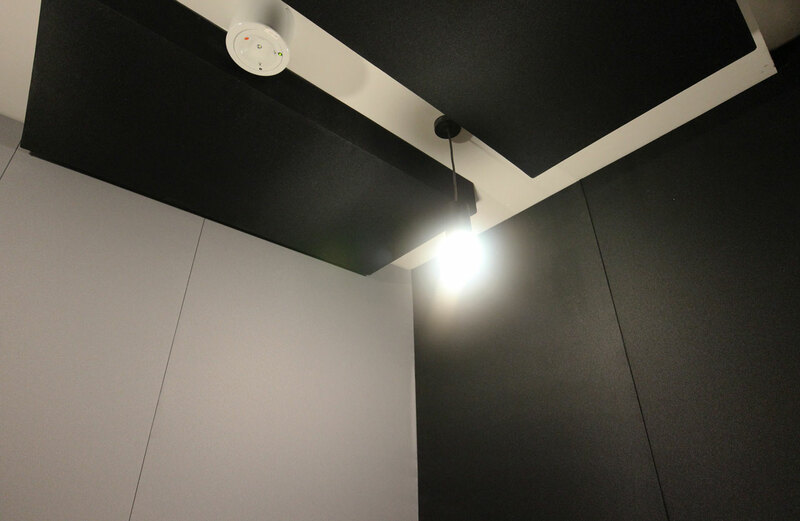 The acoustics of the karaoke room was designed by Soundzipper LLP to meet both noise criterion levels and RT60 targets. 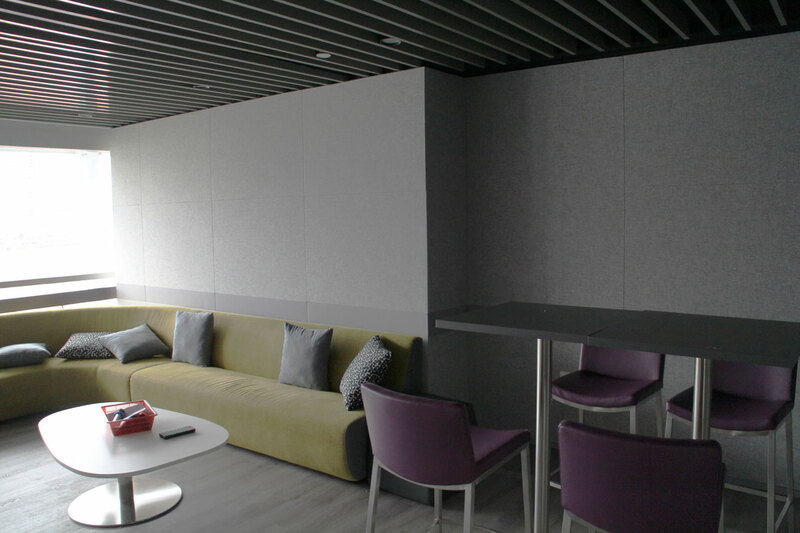 Fabrix profiles ML 27S (Mid Load, 27mm Height, Square Profile), EL 27S (Edge Load, 27mm Height, Square Profile) and SS 27S (Side Snap, 27mm Height, Square Profile) were used in the construction of the fabric acoustic cladding. The Hewlett-Packard Company, commonly referred to as HP, was an American multinational information technology company headquartered in Palo Alto, California. 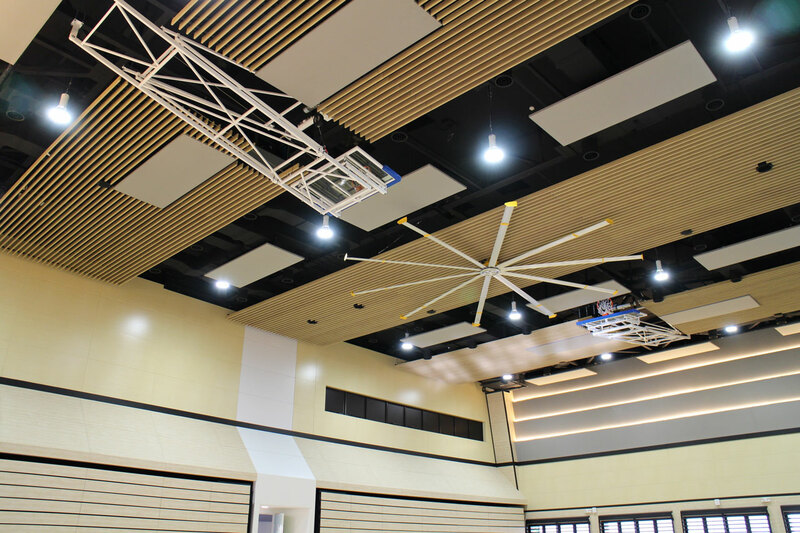 The Multi-Purpose Hall (MPH) was built in 2016 to facilitate both arts performances and sports events. The hall also serves as a venue for business functions within Hewlett-Packard. The acoustics of the MPH was designed to achieve an RT60 time of 1.2 – 1.8 seconds. 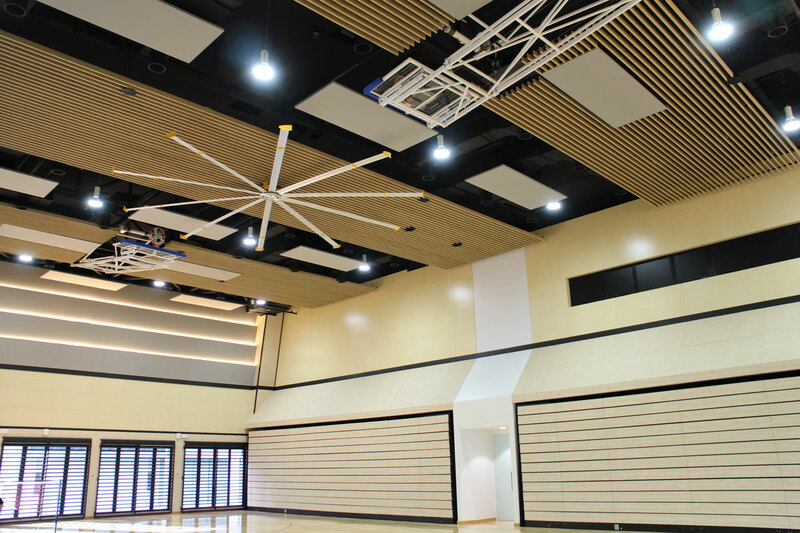 On top of timber perforated panels, Fabrix profiles ML 27S (Mid Load, 27mm Height, Square Profile), EL 27S (Edge Load, 27mm Height, Square Profile) and ES 27S (Edge Snap, 27mm Height, Square Profile) were used in the installation of acoustic panels that were cladded onto the left and right side of the hall to achive the required reveberation time.